Rise of Ages is a fascinating 2D sandbox with a third person view, in which you will have to play for a primitive person and lead him through the centuries, creating a society that in the future will grow into the most real civilization. The essence of this sandbox is that you will have to go through the path from the Stone Age to the modern age in the person of the protagonist. At first, only a stick and a cave will be at your disposal, and after some time you will be able to create a society, acquire technologies and actually evolve. But do not think that it will be easy — this adventure will be remembered for a long time, and not only by its complexity, but also by many others. 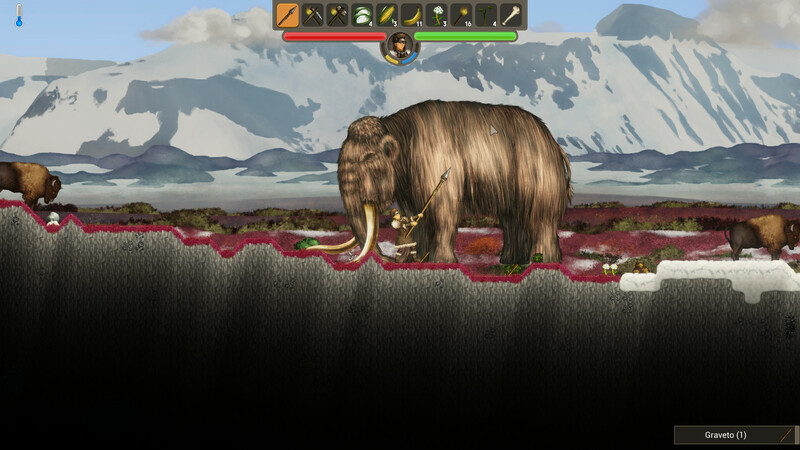 One of the key features of Rise of Ages is a huge open world in which you will do whatever you want. 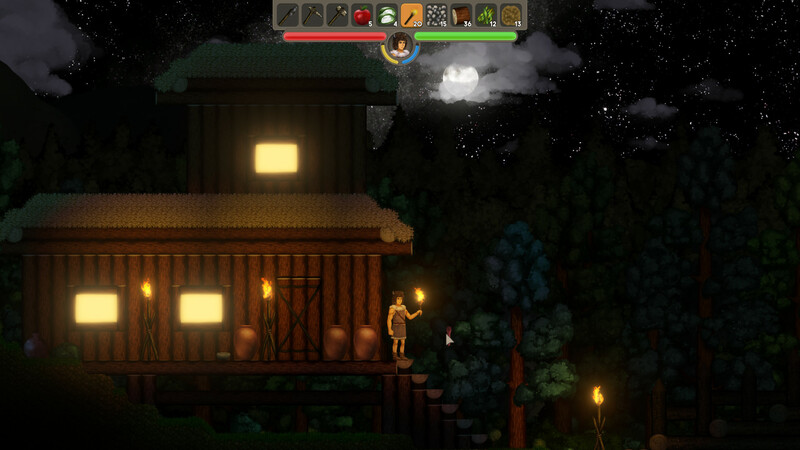 Cut trees and collect logs, build a house and equip it as you see fit, develop, swing skills, travel around a huge global map, instantly moving to locations that interest you — in general, do everything you need to survive. After some time you will be able to build a whole settlement and invite people into it, start a family, build a real society itself. Yes, and you will not be lonely — after some period of time other communities will start attacking you, robbers and not only, and you will have to defend yourself. Create weapons, collect troops and go to war — you can also fight and capture. And of course you will have to do all that. What do you have to do in most survival sandboxes. 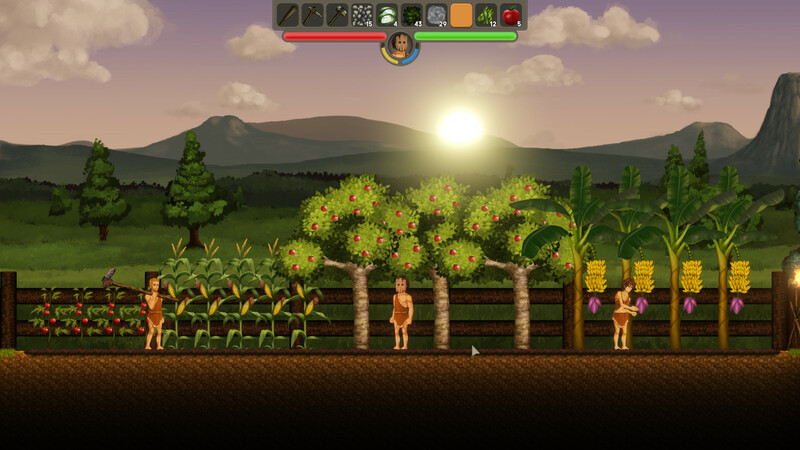 Grow plants, vegetables and fruits, create clothes, so as not to freeze in the winter, build houses, learn to craft useful items and constantly evolve. And still fight with powerful bosses, which are represented by monsters, mythical creatures and not only. This game has been updated 5-04-2019, 05:09 to the latest version v0.13. NPCs and animals finally know what water is and will try to act accordingly. Bison, bear and elasmotherium will not go into the water, as long as it is not too shallow, even when chasing you. Hawk, vulture, and bats, will not attack you if you are submerged and will float above the water. NPCs will no longer mark deep water as a valid walking destination, but now they can swim and will enter the water smoothly should they want to reach the other shore. If they start running out of oxygen they will stop what they are doing and try to swim to the surface to breathe. Also fixed a problem with the speech of the guard of Tinbala.